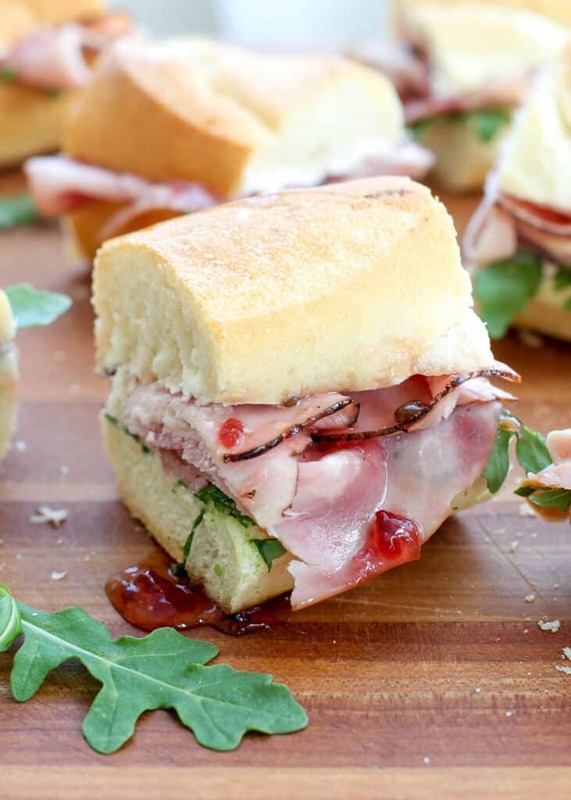 Creamy goat cheese, spicy jam, salty ham, and peppery arugula are combined in the best ham sandwich you’ll ever eat. I typically pile the fillings on a long French baguette and then slice it into small finger sandwiches. However you make this, it won’t last long. 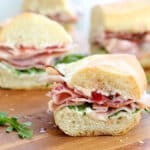 I’ll be serving this ham sandwich for holiday get-togethers, family movie night, easy lunches, and snacks throughout the year. This post is sponsored by The National Pork Board and this sandwich was inspired by my trip to Sioux Falls, South Dakota. On our last morning in Sioux Falls, Chef Neel built a similar sandwich while we were cooking up all the different pork recipes. I took one bite and knew I’d be making my own Best Ever Ham Sandwich after I returned home again. My family can never get enough party foods and snack ideas, so this sandwich is perfect for us. I’ve made it twice now and my kids are already asking for “the fancy Ham Sandwich” again. You can make this on classic French bread, on a baguette, on hoagie rolls, on toast, on whole grain wheat bread, the possibilities are endless here. You can make the sandwich as hearty or as light as you like simply by adjusting the amounts of each ingredient. I have a well-known love for ham and you can see that evidenced all over this website. Check out all of these ham filled recipes! Better Than Take-Out Ham Fried Rice, Ham Balls (just trust me here, there is nothing else like them! ), Sweet and Sour Ham Ball Stir Fry (see last comment, I promise that once you try the ham ball stir-fry, you’ll be a fan too! ), Ham and Cheese Waffles (grab and go or drizzle with syrup at the table), Ham and Vegetable Pasta Skillet, Balsamic Dijon Glazed Ham (I haven’t baked a different ham in over five years! 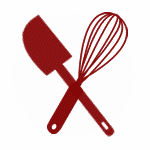 ), Ham and Cheese Biscuits, Slow Cooker Potato Ham Chowder and so many more great recipes. Kitchen Tip: I use this cutting board and this knife to make this recipe. Slice the bread in half lengthwise, forming two flat halves. Spread the goat cheese on each section of bread. Layer arugula on the bottom half and then ham over the greens. Fold and crumple the ham as you layer it on the bread. Form piles of ham across the bread to create the best texture. Spoon the jam over the goat cheese on the top half of the bread. Close the sandwich and slice into smaller sections. Serve immediately. If you don't happen to be a fan of goat cheese, this sandwich also works well with whipped cream cheese. However, the cream cheese won't have the same depth of flavor as the goat cheese in this sandwich. 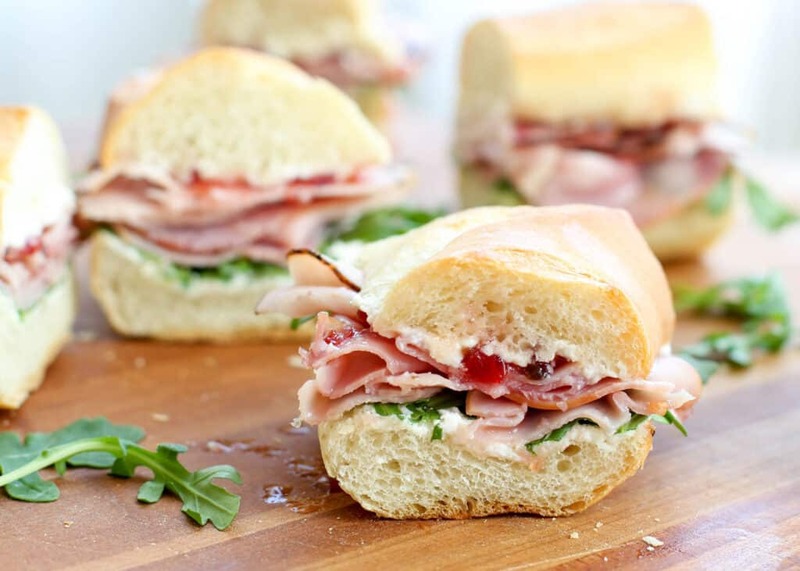 My favorite way to make this sandwich is with Cranberry Pepper Jam. If you are able to find it in the store, buy it. However, if you have about 15 minutes, you can make your own! Disclosure: I’ve partnered with the National Pork Board to share this recipe with you. As always, all thoughts and opinions are my own. Do you have a recipe for the pepper jam? Would love to make it! It will be on the blog next week and I'll add the link here! You haven't missed it. It will be on the blog later this week! Thanks for sharing about the book you read the Real Jesus. I am reading & loving it. You're right you laugh & cry. If the world would now Jesus more.